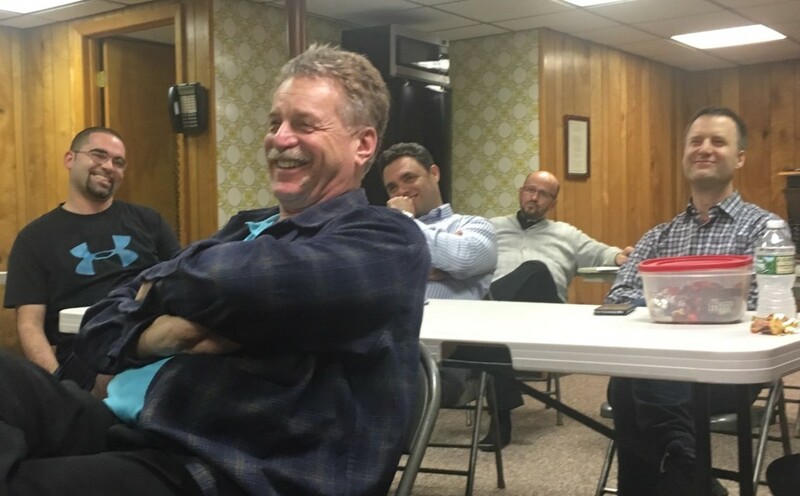 Sacred Heart Men's Group ​recognizes the ​importance ​of​ community, fellowship, and accountability​ among men. All men are welcomed​ from both within and outside of Sacred Heart to join and deepen their relationship with Jesus Christ and become better husbands, fathers, ​brothers ​and sons. Challenging men to grow in virtue​ (good habits)​, our men's group places a particular emphasis on the virtues of courage and vulnerability. As a resource, our men use the "That Man Is You!" program. "That Man Is You!" honestly addresses the pressures and temptations that men face in our modern culture, especially those relating to their roles as husbands and fathers. The program harmonizes current social and medical science with the teachings of the Church and the wisdom of the saints to develop the vision of man fully alive! Sacred Heart Man Cave (Basement of the Rectory). Interested in joining Men's Group? Please email or call Dan Tome, Pastoral Administrator (203) 743-0689.